What is the 20Twenty Business Growth & Leadership Course? The 20Twenty Business Growth and Leadership course has an established track record for delivering high quality leadership and management skills with a focus on strategic development, driving innovation and achieving profitable and sustainable business growth. 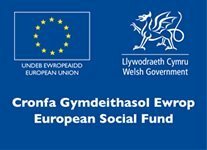 Delivered by Cardiff Metropolitan University in partnership with Bangor University and subsidised by the European Social Fund through the Welsh Government. Over 600 participants embarked on this programme and 10% of the top 300 businesses in Wales have already been on the programme. Why should you consider the 20Twenty Business Growth course? The programme benefits from an EU subsidy of up to 60% meaning that the costs are much lower than many other leadership & management qualifications.  Our programme has immediate and real business application. As you develop a unique set of business and people skills, we will challenge you to think about the differences you can make to your organisation or company whilst completing a range of optional accredited qualifications from Cardiff Met University the Chartered Management Institute (CMI). Our programme focuses on real issues and the content continues to be reviewed by past delegates through focus groups to ensure it remains relevant and immediately applicable in the workplace to achieve maximum impact. This is one of the reasons why our programme is such a success and as a result it continues to be a flagship product offered by Cardiff Metropolitan University subsidised by European Funding. During the programme, you’ll not only cover leadership and management styles, but we’ll also provide you with the knowledge to develop high performing teams, identify growth opportunities, improve efficiencies, nurture innovation and develop expansion goals. In addition, the programme will up-skill you in key operational areas for leaders including marketing strategies, managing finance and social media. You won’t find this in a traditional leadership and management programme. Other benefits of the programme include access to executive coaching on a 1-2-1 basis to support you in achieving your professional or personal goals, and training on emotional intelligence and resilience to protect your well-being as you take on new leadership or managerial challenges. What’s more, with our 20Twenty Growth Club, you’ll be able to build and harness a powerful network of peers across sectors which will last beyond your qualification. We bring in world-class speakers and tutors from across the world to deliver our programme, sharing their expertise from a diverse range of backgrounds, including organisational psychology, leadership, innovation, marketing and neuroscience. We have developed a new unique, exciting, and engaging programme for managers and team leaders which offers a level 4 Award from CMI. The fast track course allows you to become the manager you want to be in just 4 months and gain a nationally recognised qualification with CMI (Chartered Institute of Management). Our unique programme is the only one in the UK that offers a dual award (i.e. a Level 7 qualification in Leadership from CMI together with a Postgraduate Certificate from Cardiff Met University). The postgraduate certificate is equivalent to one third of an executive MBA at Cardiff Met University. The majority of delegates then go on to achieve Chartered Manager status and use the designation ‘CMgr’ after their name. Chartered Manager provides formal recognition of competence and professionalism at both operational and strategic levels. One of our key advantages and has become synonymous with the programme is the opportunity to gain a Postgraduate Certificate in Leadership as well as a Level 7 Certificate from the Chartered Management Institute (CMI). Why should you sponsor your aspiring managers or leaders to take the 20Twenty Business Growth leadership programme? Evidence shows that sponsoring aspiring managers and leaders on our leadership programme is a valuable investment for your business or organisation. Businesses that have sent employees onto our programme have seen their profit levels and sales increase. Unlike other traditional leadership and management training programmes, we train people in key business growth areas including strategy, finance, marketing, lean efficiency and innovation. Its unique and holistic approach to leadership training will increase the productivity, profitability and competitiveness of your organisation. All these unique toolkits will be made available to you through your journey so that you can immediately make an impact in the business. We’ve worked with hundreds of leading businesses and organisations across Wales, including Admiral, Taff Housing and Sport Wales, across many sectors. Why choose 20Twenty Business Growth for leadership and management training? • 10% of the top 300 businesses in Wales have completed one of our leadership programmes. • We’ve successfully trained more than 600 aspiring managers and leaders. Here’s some of the businesses we’ve worked with. • Our delegate surveys illustrate clear business benefits to sponsoring employees on our programme, including increases in profits and sales. • People who opt for a Level 7 qualification from the Chartered Management Institute (CMI) will also achieve a postgraduate certificate. • Many delegates apply for Chartered Manager status after completing the programme. 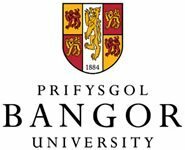 • You can use the qualification to progress to an Executive MBA at Cardiff Metropolitan University with a partial fee waiver. I would definitely recommend the 20Twenty Business Growth programme to enhance your leadership style and find new tools to manage your specific area. There are events in life that make you sit up and take notice, and the 20Twenty leadership programme is one of those. The programme has given me new knowledge, skills and experiences that I have not only been able to use in all aspects of my work right now, but I believe will provide the foundations for future learning. Brian Morgan is Professor of Entrepreneurship at Cardiff Met. He is the Programme Director for 20Twenty Business Growth. He is also Programme Director of Construction Futures Wales Leadership Programme. Brian Morgan was educated at the London School of Economics. Before moving to academia in 1997 he was the Chief Economist at the WDA and senior policy adviser in Whitehall (the DTI). 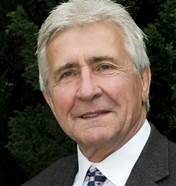 He is also a Director of a number of businesses in Wales, including Chairman, Spadel UK, producer of Brecon Carreg and Chairman, Windpower Wales. In 1998, he founded the Penderyn Malt Whiskey Company. He has also been actively involved in improving SME performance and has written numerous popular articles on this theme for the Western Mail, Business Insider, Agenda etc. Whether you’re an aspiring leader or an organisation looking to increase growth by developing future leaders/managers, why not attend one of our free two-hour taster events to learn how you can benefit from our unrivalled expertise in leadership, management and business growth? Simply fill in the form below to enquire.